When you are looking for skincare products that work you will want to try Inance skincare because they are among the best of the best when it comes to skincare products. There are many reasons to try Inance skincare products rather than Obagi skincare products and one of these reasons is the size of the product. 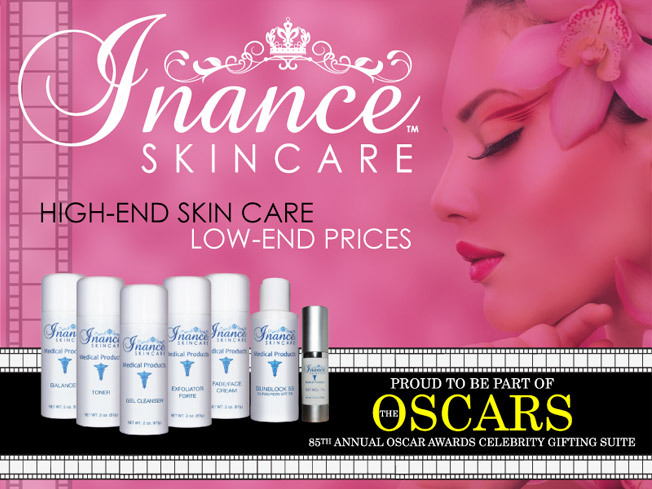 Inance skincare products offer you larger sizes of products that you can choose from. When you purchase the bigger size of Inance products you will also be paying less a lot less money for it than you would be if you purchased Obagi skincare products. With Inance products you can purchase kits that will help your skin look younger and fresher than ever. You can be assured that your skin will look better because Inance uses the highest technology available in the industry today to make sure they only offer the best products to their customers. A very important reason to use Inance verses Obagi is most Obagi Products will require you to have prescription to purchase however; Inance products do not require a prescription and can be purchased online. To purchase Inance products all you will need to do is visit their website and pick the products you would like and they will ship them directly to your home. It is a lot easier to purchase the Inance products than the Obagi products because you will not need a prescription. Not to mention, it is illegal to purchase RX Obagi products over the internet without a prescription. Websites have to be considered a licensed and certified online pharmacy to sell RX products. These websites that simply state that they have a Dr. assigned to their website does not make it legal, especially when RX products are shipped across state lines that regulate the sale of RX products from state to state. If you do not have a valid prescription that is uploaded and verified from the internet pharmacy you are purchasing from, you are making an illegal purchase. The Dr and website owner are breaking the law and Obagi medial, now owned by Valiant is cracking down on these websites that are breaking the law. Valiant just released the sales of Obagi Clear FX in the United States when it was only available prior to counties outside of the USA. It does not compare to the newest formula created by Inance Skin care, Inance Fade Cream. Dermatologists have stated that Obagi clear FX takes approximately 24 weeks to show any results and Inance fade cream starts lightening ae spots in approximately 2 weeks. The manufactures of Obagi do not use the same technology that Inance uses to ensure their products are the newest technology. The original Obagi Clear formula was created over 20 years ago by Dr Zein Obagi. Dr Obagi says in interviews that the Obagi Medical line he created is out of date and there are much newer formulas being created that offer quicker and faster results. Inance Skin care is the line that offers you the newest and fastest technology. When you use Inance skincare products you will be getting more for you money and you will be assured to get the best of the best when it comes to skincare products. You will never want to purchase your products from any one else ever again. Make the change today and get the products your skin deserves by purchasing all your skincare products from Inance Skin. You will not be disappointed when your package arrives because you will have the “best of the best” right in your hands.